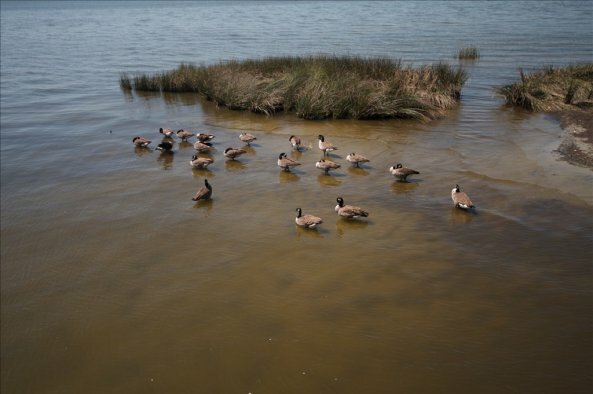 Duck is the newest town on the Outer Banks, incorporated only in 2002. 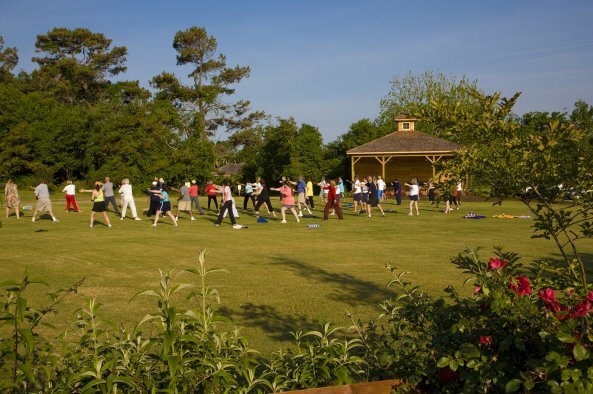 They are known for their highly walkable village, with great local shopping and restaurants, as well as the new soundside boardwalk and the town green, where you can take morning yoga in the summer. 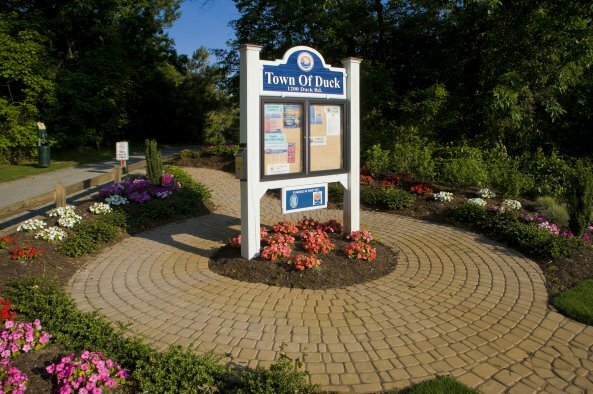 Franchises are subject to town council approval, and design standards are strictly enforced, giving Duck a character unique on the Outer Banks. The village is also known for its strictly enforced 25 mph speed limit, making the town very pedestrian friendly. Dogs are especially welcome in Duck, with well behaved pups allowed to be off-leash while enjoying the beach. 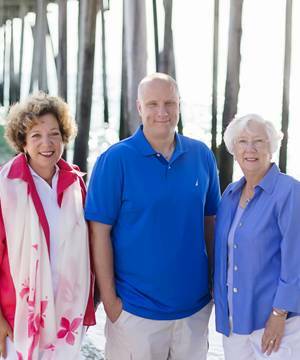 Communities in Duck range from those with top of the line amenities such as Four Seasons and Ship's Watch, to those that simply provide a safe and comfortable beach access. North of the village is the Duck Research Pier, a working facility of the Army Corps of Engineers which happens to provide over 3000 feet of gloriously empty beach. 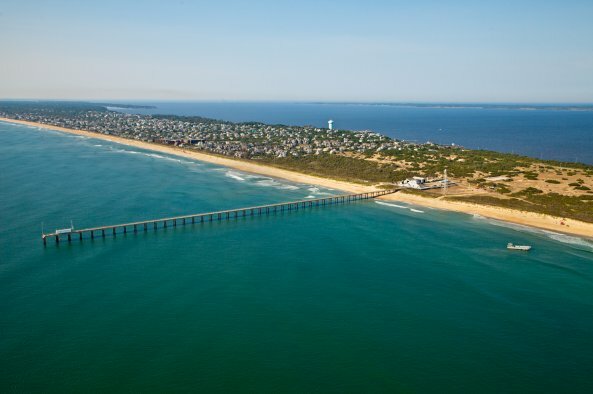 Carolina Dunes is a large community just north of the pier, offering some great views from the high elevations. 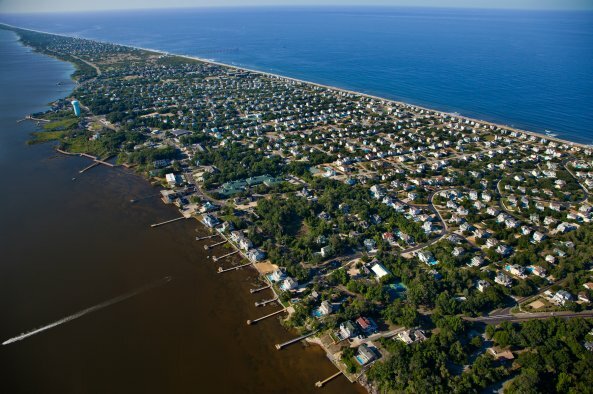 In the narrowest part of Duck is the community of Sanderling, with its winding streets shaded by live oaks that have been preserved since the community was founded in the early 80s. Homes are all in the old Nags Head style, with lots of cedar shakes and no Caribbean paint colors! If you are looking for an oceanside community with homes in the 4-5 bedroom range, definitely take a look at Sanderling. At the very north end of Duck is the Sanderling Resort. With its two restaurants and spa facilities, the Sanderling is a plus for local homeowners, as well as a great hotel to recommend to your friends back home. Start browsing available real estate in Duck below, or use the search feature in the top right corner of the page to narrow listings by property type, price, proximity to the ocean or the MLS number. 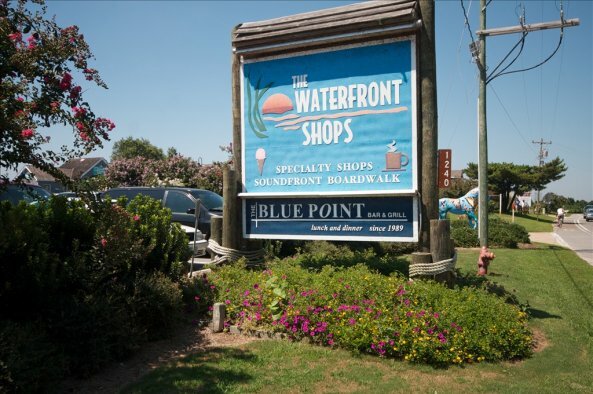 We also have an available agent from our Corolla office to assist you in answering questions you may have and helping you make progress in becoming a homeowner in Duck. Don't hesitate to contact us!